Native Houstonian Lauren Harris has built her reputation upon exceptional client service, extensive market knowledge, and strong negotiating skills. 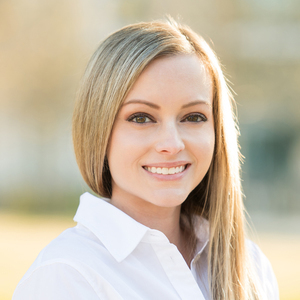 A former educator, Lauren leverages a unique skill-set and previous teaching experience in her role as a trusted advisor to her clients while guiding them throughout the entirety of the real estate process, and long after as well. The result is that her clients are comfortable and confident throughout the experience and thrilled with the results. Known for being extremely responsive, her high attention to detail and proactivity in service, Lauren enjoys the strong relationships that she develops with all of her clients. She understands that it takes truly knowing and understanding her clients in order to garner a deep understanding of their wants and needs. Lauren graduated from Texas A&M University with a degree in Elementary Education. She and her husband Zach have two boys, George and James, as well as two dogs that all keep their home lively and happy! Named Keller Williams Metropolitan Rookie of the Year 2016. “Lauren was incredible! She was fully prepared every time we met, had local market knowledge and was able to offer an experienced perspective that led to my decision on purchasing a home. She met all my needs, even some that I didn't even know I had through the process and was always quick to respond and keep the process moving forward. I'd highly recommend Lauren and her team to those buying or selling a home!“ - Taylor S.
“Lauren made selling our home a very pleasant experience! She went above and beyond to make sure that we received top dollar for our home and we received an offer the first weekend it was listed. Lauren was there every step of the way to answer our questions, no matter how simple or complicated they were. I would highly recommend her to anyone looking to buy or sell their home! “ - Madison R.
“Where do we start with Lauren? She is fantastic in every way. We have worked with a number of realtors as a buyer and seller, and Lauren is far and away superior. She is patient, prompt, and knowledgeable, and she has great judgment and character. Our previous realtors generally were pushy, and it felt like they robbed us of our autonomy. Lauren never made us feel pressured and always made sure to keep us in the loop. We saw A LOT of houses over a three month period in Houston, and Lauren never seemed to make us any less of a priority. For each house we visited, she asked questions to the seller agent that we never thought to ask that were aimed at discovering any negatives about the house. She set up appointments with her trusted contractors to provide estimates to fix or improve things about certain houses. In the end, we found exactly what we were looking for, thanks to Lauren. She sent us a preview of the house before it hit the market, which allowed us to be the first showing and the first offer. Lauren guided us through each step of the way until closing. She provided us with a helpful summary of everything we needed to do during the option period, followed up frequently about open items, coordinated and met with numerous inspectors, and generally made the process smooth and painless. We would use Lauren again, without question. “ - Jennette D.